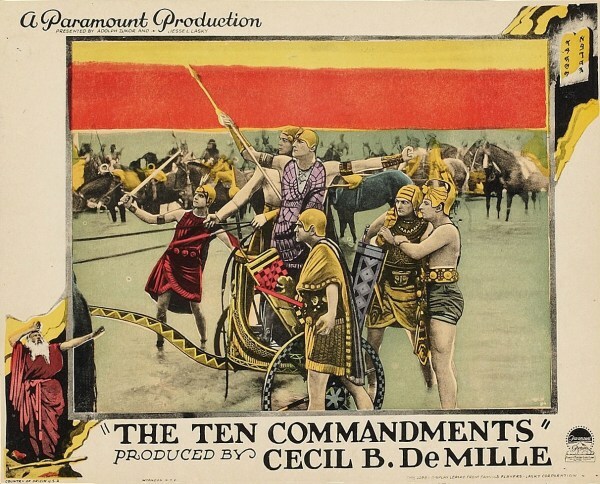 It's been 48 hours since the American public domain expanded for the first time in 20 years, allowing Americans free access to works from 1923, including Cecil B Demille's 1923 epic "The Ten Commandments" (here's 1,000 or so more). Despite its epic scale, the Moses story takes up only about the first third of the film. After that, the story changes to a modern setting involving living by the lessons of the commandments. Two brothers make opposite decisions, one, John, to follow his mother’s teaching of the Ten Commandments and become a poor carpenter, and the other, Danny, to break every one of them and rise to the top. The film shows his unchecked immorality to be momentarily gainful, but ultimately disastrous.